1. It's raining rocks! Hallelujah? Scientists have been hard at work tracking the next crater creator. 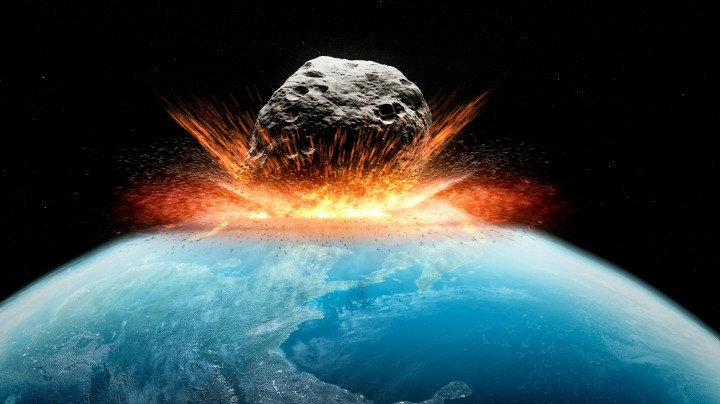 The last time the Earth was seriously blind-sided by an asteroid, we lost the dinosaurs. So, a heads up would be nice. Unfortunately, we haven't completely mastered the universe, and one of these flaming bad boys could still slip into our atmosphere unannounced. Like any good post-apocalyptic scenario, people will be moving in packs, looting, and stealing anything they can barter with. Our advice: Go to the nearest big box store, get as many canned items as you can, and take all of your money out of the bank. Once you have that cash, head on back to the big box store. Repeat.